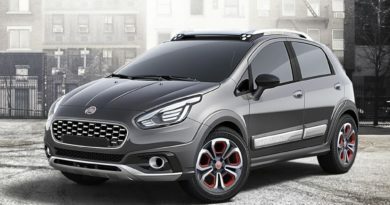 Fiat is replacing it popular Punto hatchback in some markets like Brazil and probably India. 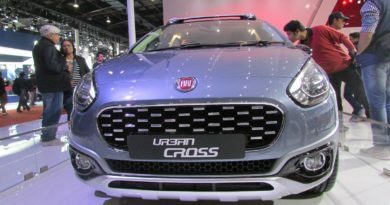 Yes, several reports are suggesting that the Fiat Argo will be launched in India later next year or in early 2019. In Brazil, the pricing of the Fiat Argo starts at BRL 46,800 (Rs 9,14,053). The Argo carries a sporty design with an aggressive front bumper, a large grille, stretched wrap-around headlamps, prominent shoulder line, sporty alloy wheels, a faux diffuser overhang on the rear bumper and body cladding. Around the back, the car looks inspired from the Hyundai i20. The interiors of the car look very modern. The dashboard has a unique two-step design with a large infotainment unit in the middle that extends out. The circular air vents below the touchscreen further add to the sporty character. The Fiat Argo comes with 3 engine options- 1.0-litre, 1.3-litre, and a powerful 140PS 1.8-litre flex-fuel engine. Like the engine options, there are 3 transmission options- a five-speed manual gearbox, a six-speed automatic, and a 5-speed Automated Manual Transmission (AMT). The Fiat Argo in India could give good competition to hatchbacks like Ford Figo, Honda Jazz, Maruti Suzuki Swift and Hyundai i20. Recently, FIAT launched its most affordable car in India.